These are just a handful of questions you'll likely come across as you continue with your business. But how the heck do you make a decision?! What is the right answer? Why is there no all-knowing business mentor who can just give us the right answer? Should you look at what your competitors are doing? Shake a magic 8 ball? Try 4 things at once and see which takes off? Who is the best person to tell you where to take your business next? What direction to go and what to offer? Well, it's in fact not just 1 all-knowing person. The people who are going to pay your bills are the ones you should be catering to. Therefore, they should be the ones making the decisions! How exactly do you get them to tell you what they want? In practical terms, how exactly do you talk to and get feedback from your audience? I personally do these 2 things every year to ensure I am in touch with what my audience wants and needs. First, I hold subscriber chats. Once a year, I open up a handful of 30 minute call times in my Acuity appointment scheduler and send out an email to my list inviting subscribers to book a call time and just hang out with me for 30 mins. Last year I held 10 of these calls, but there's no hard and fast number of the 'right' number of calls. Do whatever works for your schedule. What do we talk about? I'm super interested to really get to know my subscribers. Their daily life. What they do job-wise. What their long-term business dreams are. Where they're at in building their business. What they're currently struggling with. Who else they follow online. How they like to consume content and educational resources. I honestly just want to get to know them. The better I know my audience, the easier it is for me to make decisions. If I'm stuck on the fence considering if I should be creating a podcast or a YouTube channel, I look back to the notes I took during my subscriber chats. If 7/10 mention they listen to podcasts daily and only 2 mentioned watching YouTube, my answer is clear. Subscriber chats provide my massively valuable info that I can then use to best serve my audience, and my subscribers tend to like to get to hang out and chat to the person who they seen online and who sends them emails weekly. Now there's one definite downside to subscriber chats. It's time consuming. Doing 10 subscriber chats takes up a solid amount of time. If I have thousands of people on my email list, there's no way I could dream of even chatting with 1% of them. And making business decisions based on a teeny tiny fraction of a percent of my audience might not always lead to perfect decisions. So while chatting with my subscribers is valuable for getting a true feeling of who it is I'm creating content for an sending emails to weekly, it really humanizes my online business, I have another method for getting feedback too that's a lot more scalable. I personally find surveying soooo interesting and that it produces massively valuable info. You can get hundreds and thousands of responses, and the number of responses you can gather is not at all tied to your time. Fabulous! The major benefit of surveying over subscriber chats is that it's scalable. If you can get 20% of your audience to complete a survey and tell you for example, the way they like to consume content, that result can be trusted to represent your larger audience more than 10 subscriber chats would. While you generally won't get as in-depth about personal things like what people's daily lives look like, you will be able to get some solid stats on more fundamental things. So, the next obvious question is, how should you survey your audience? There's a zillion survey and form softwares online. Honestly, the one you choose isn't massively important, so spend no more than 7 minutes weighing the options and then just pick one and move on. I've used both TypeForm and Squarespace's form block to survey my audience before. Again, how you survey isn't as important as actually doing it, so don't let this minor detail of which form/survey software to use hold you up from making progress. It really doesn't matter. Pick one and move on. Think back to the dilemmas you're having. What questions are you struggling with? If you had one of your subscribers sat down in front of you at a coffee shop, what would you want to know from them? Ask them those questions. Here's a selection of questions I asked my audience in my annual survey. What field is your business is in? "My goal in my business this year is …"
Which types of content do you like best? Why do you follow the blog? What keeps you coming back? Use whatever method of marketing you have available to yourself. Blog, email list, social media, word of mouth, podcast/video mention, etc. I had 2 surveys I run every year. An on-going one and an annual one. The fun (but also sometimes time-consuming part)! Reading over the responses and for any written in responses (any short or longer answer questions that aren't checking a box), begin to categorize them. What categories should you use? The responses will give you your category options. If you asked what's peoples biggest struggles with learning Facebook ads and people keep mentioning in some way, shape or form 'calculating the lifetime value of a lead' or 'deciding the best type of ad to run,' make those your categories, and for each person who mentions something along those lines, start making a chart of ticks for each person who mentions one of those things. Now, back to our original problem. Making decisions. Say you're thinking of launch a new product/service, but you don't know if it should be a mini-class, webinar series, downloadable workbook, mastermind, one-on-one service or group program. Look back at your responses to see what respondents mentioned they liked best or had done in the past. Whatever won on the survey, let that decide for you. Warning: Do not, I repeat, do not just try to get anyone to complete your survey! Your goal is to get your audience, the people you can get in touch with again (eg. email list) to complete your survey. Say you have 100 people on your email list, and so you fear that even if you get a good percentage of them to complete your survey, you still won't have that many results. The goal is not more responses from randoms. The goal is to get responses from your people! Say you send your survey to your email list and post it in a Facebook group with thousands of people. Your audience all says they want you to create fuzzy purple slippers. The people from the Facebook group says they want you to create velvet bedazzled slippers. You make the velvet slippers, market them to the people you're able to get in touch with again and again and again with (your email list) and nobody buys. Why? Because you made something for people who aren't your people. Worry about your people and no one else. Another common mistake I see is that people offer $25 to Starbucks or $100 to Southwest airlines to complete their survey. Who completes their survey? People who like Chai Lattes and that want to travel. Offering an incentive gift to complete your survey that is unrelated from what you do means again that you'll skew your results. 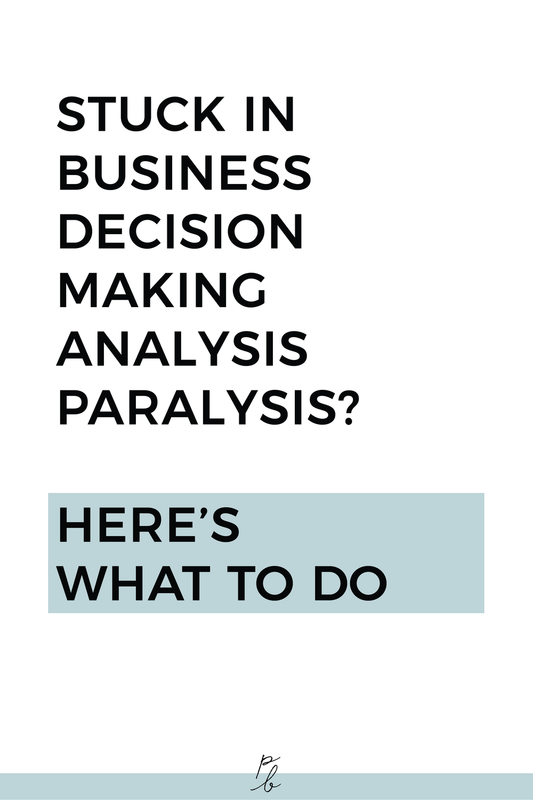 And you'll be stuck back in the same place as before, unsure if the info in your survey really is reliable and being stuck in decision making analysis paralysis again. Henry Ford is famously quoted as having said that, "If I had asked people what they wanted, they would have said faster horses." You are a creator. Your audience has problems. It's your job to learn their struggles and problems and create solutions for them. It's your job to think outside the box and realize that when people say they want to get places faster, the solution may not just be to make a faster horse, but to build a car. Ask people about their tendencies in the past, their problems and they way they like to learn/have services provided to them, etc.